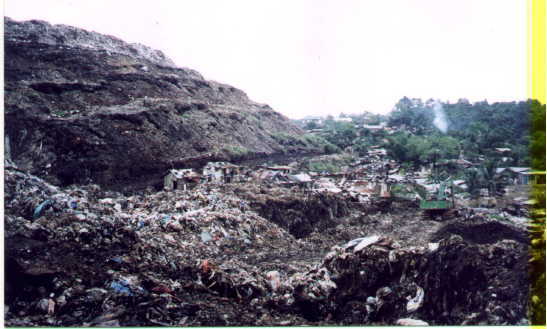 Payatas dumpsite is located in Quezon City in the North-East of Manila, capital of the Philippines. 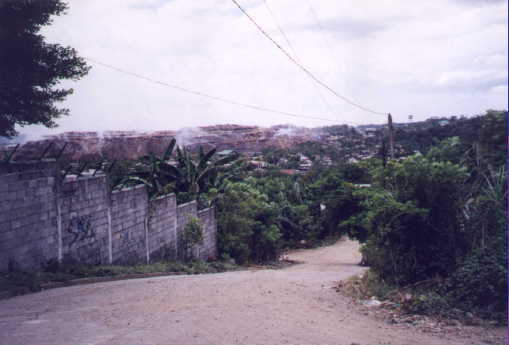 Around the landfill the township Payatas B is placed, home of about 80.000 citizens. 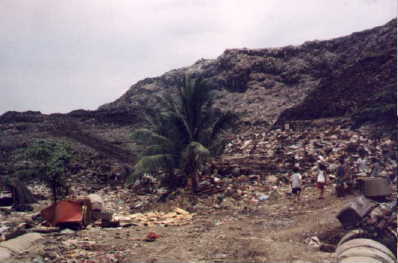 The picture shows the housing area in front and the dumpsite in the background, about in March 2000, monthes before the landslide. 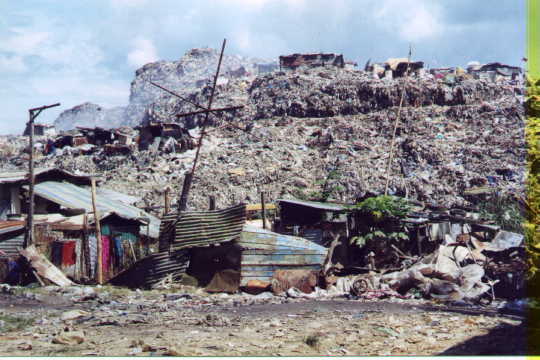 As often in devolping countries, people are not only living around, but also at the daumpsite. 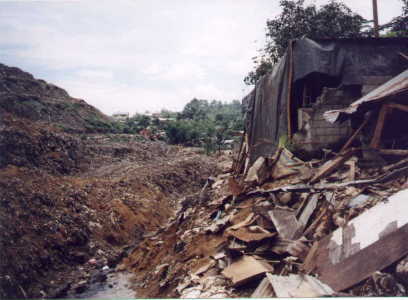 The image above shows slum huts at the dumpsite before the katastrophy, the picture on the left side shows abandoned huts after the landsilde, which had not been destructed. 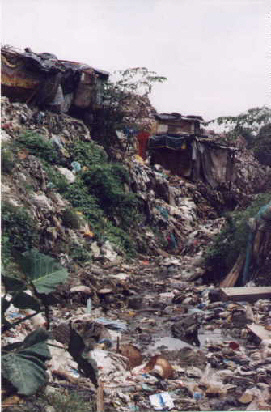 On July 10,2000, early in the morning, the waste slope moved down like a garvalanche, burying dozens of these slum huts under meters of waste. In the background the part of the slope, which remained unbroken, can be seen. 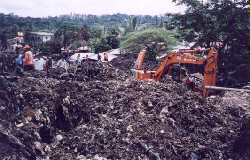 In the foreground, the waste garvalanche of 1,2 Mio cbm came in from the left, burying the slum huts as well as a part of the township (right side). The pictures of the rescue action indicates what really happended at that deadly place. The emergency teams found 230 people dead, but still up to 800 people ar missed. 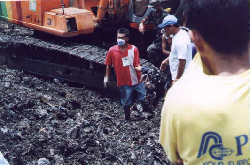 The picture above shoes the situation in August 2000, about 4 weeks after the failure, when we arrived at the place to conduct a first forensic analysis. The rescue works were suspended close before. 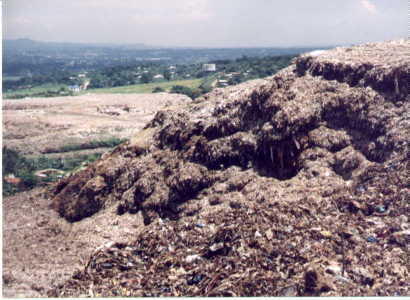 The view falls from the crest of the remaining slope over the shell-shaped failure area. In order to protect the township from leachate water percolating out of the downslided waste, a trench has been constructed around the covered area.